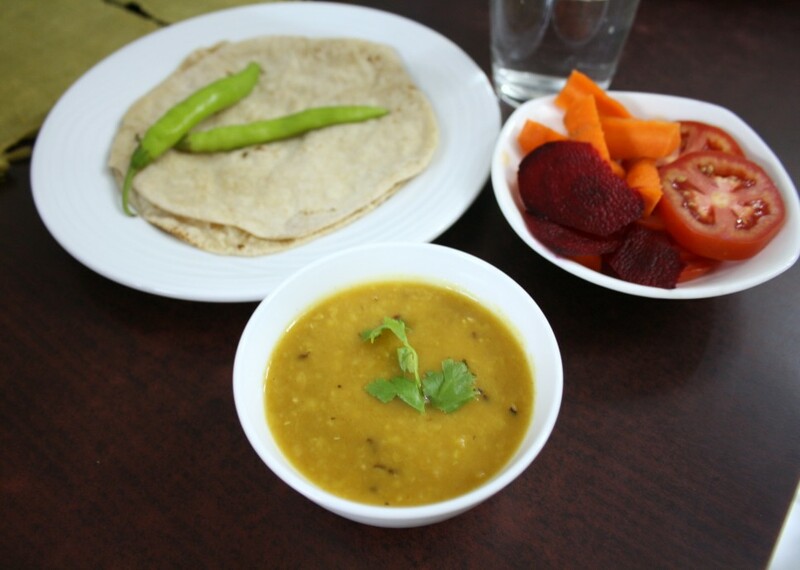 For the second day of cooking under 30 mins meal, I wanted to make something with Masoor dal. 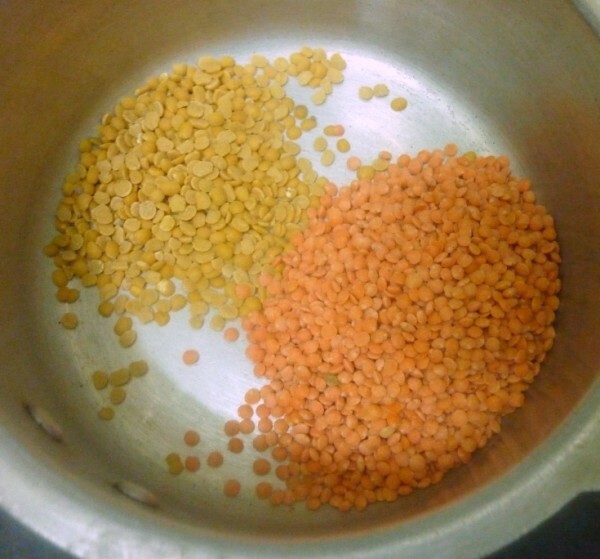 When I was first introduced to this dal a decade back, I was first taken in by its colour, then by the fact that after being cooked that beautiful colour is lost. My initial reaction was that of a sadness, thinking how can that pretty orange just disappears like that. The groceries in Madras know this dal as something from the North. So when I had asked them, they almost said something like, oh that north indians make their dal right. Little did they know that all sorts of dals are used so much in a typical north indian fare. 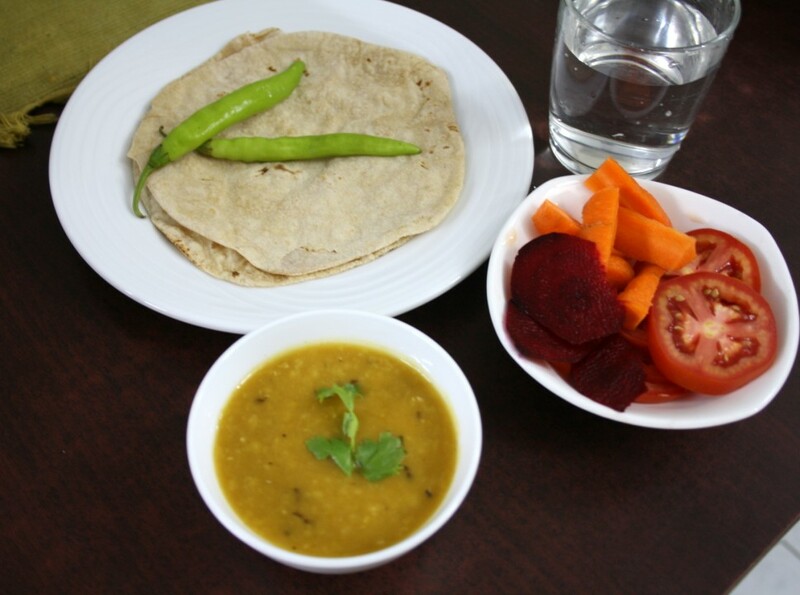 With just the rotis and some salads on side, you can get your hearty meal ready, all within 30 mins of cooking. As always when it’s a dal the kids refuse to eat, so I have to feed them. Not that I don’t feed them otherwise, when it is dal it takes more cajoling to get them eat. To my surprise, after tasting the first bite there was no denial of the fact that the dal and roti were tasting so good. 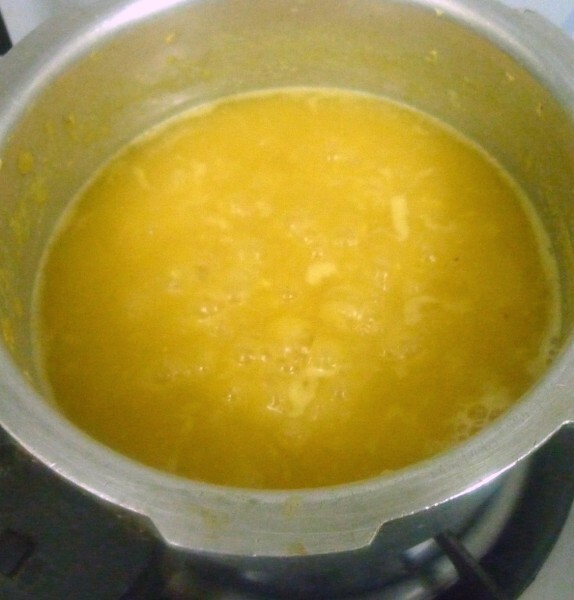 With lasoon or garlic, was my first attempt with this dal. And on top I had made it in microwave, it was such a wonderful experience. Lasuni Massor Dal really tastes yum! This time I have added something else to make it come out differently. Green Chilies – 2 long. Wash and soak the dals for 5 mins. Pressure cook with twice the amount of water with hing, turmeric powder and chopped chilies. Pressure cook for 2 -3 whistles. 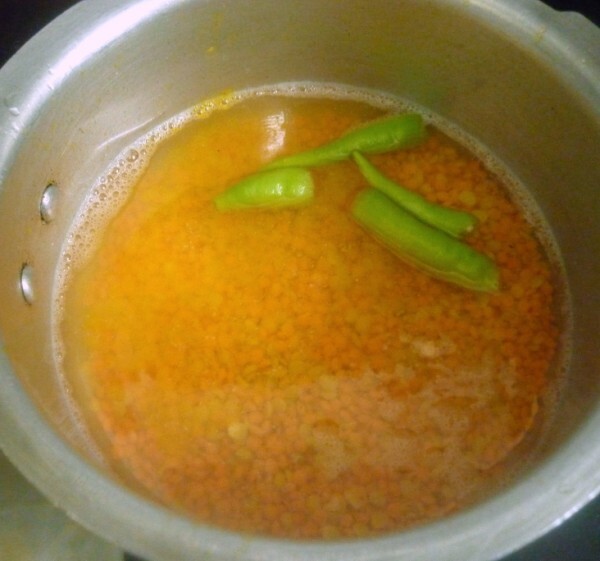 Once the pressure subsides, remove the lid and continue cooking to get the dal thicker. 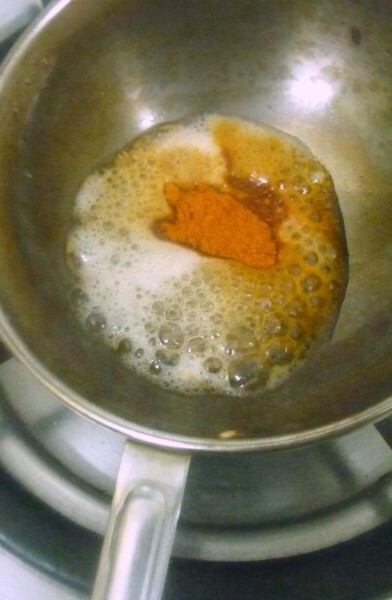 Meanwhile in a small pan, heat oil, add cumin seeds, then red chili powder. After a minute stirring, pour this on the simmering dal. Cook till the dal is thick. This takes about 5 -7 mints. 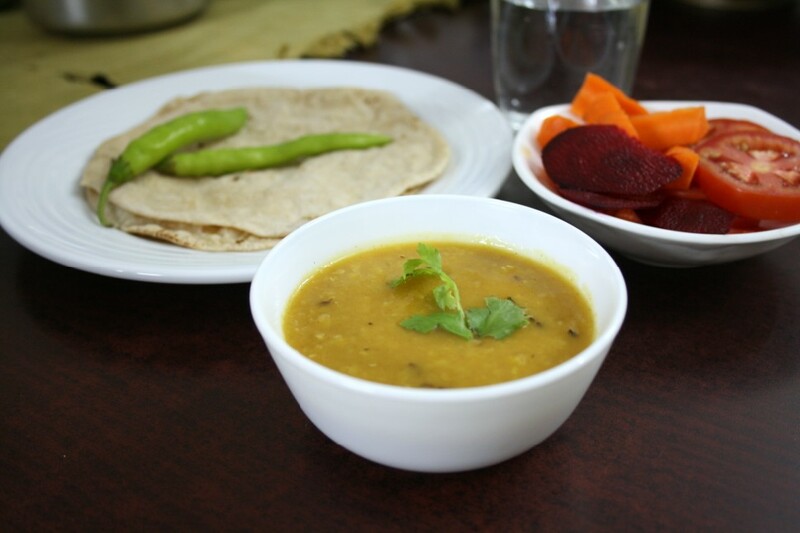 Simple but yet a comforting food for me,can have with anything..
Masoor dal is a staple in the North-Eastern region. 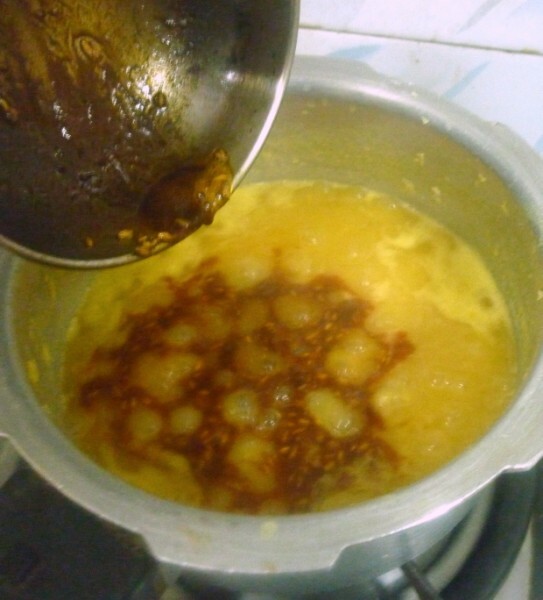 I got introduced to tool dal only after i moved to hyderabad :). Glad the kids enjoyed it. 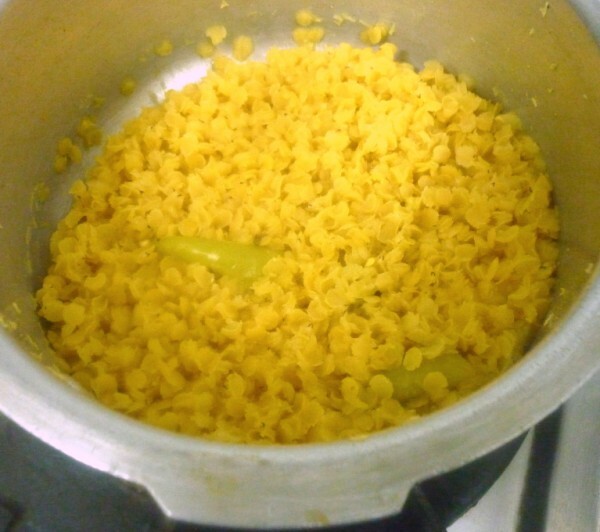 Having toor dal is reminiscent of home for me :). I love dal not only for its simple, uncomplicated taste, but also for the fact that it gets done in a jiffy. Now, if only the hubby could see that!! The story is reversed in my house. My son LOVES dal, but he needs cajoling and coercing to eat everything else. 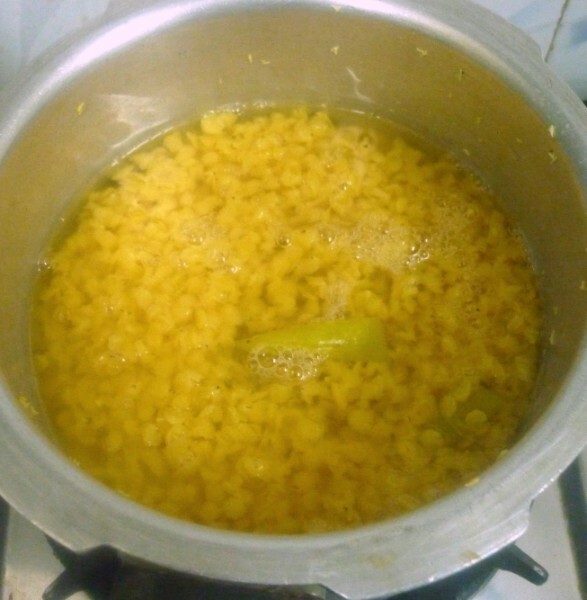 I love masoor dal as it cooks so quick even on the stove top. Your dal looks simple, comforting and delicious.